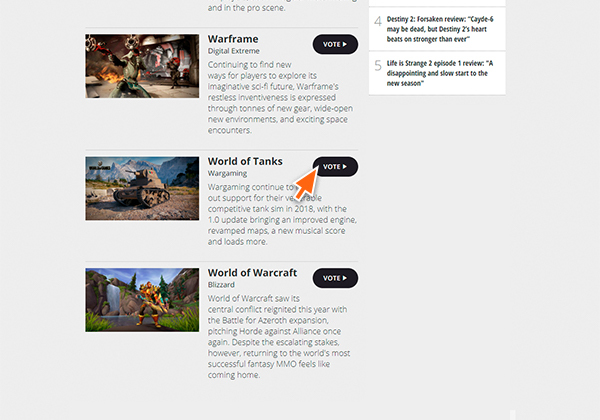 World of Tanks has constantly evolved over the last years, introducing new and exciting content over time. Just over the course of 2018, an entirely new graphics engine, overhauled HD maps, a modern soundtrack, two new nations, the second Personal Missions campaign, and much more have been implemented. 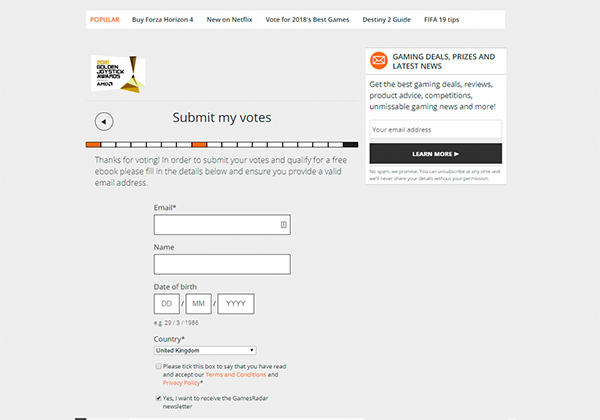 Now, for the second year in a row, the game is nominated for the Still Playing category in the Golden Joystick awards, and we would like to ask for your help once again. Should World of Tanks win, we’ll throw a big in-game party for our community around the globe. Thanks to your continuous support in the past, World of Tanks has been awarded three Golden Joysticks over the last six years. To celebrate, we prepared a series of eight Battle Missions (see below), each available for two days until 25 October when the voting for the award closes. Have fun! 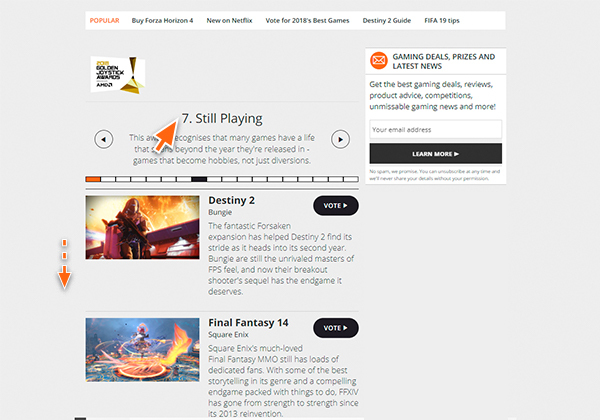 Head to the GamesRadar website. 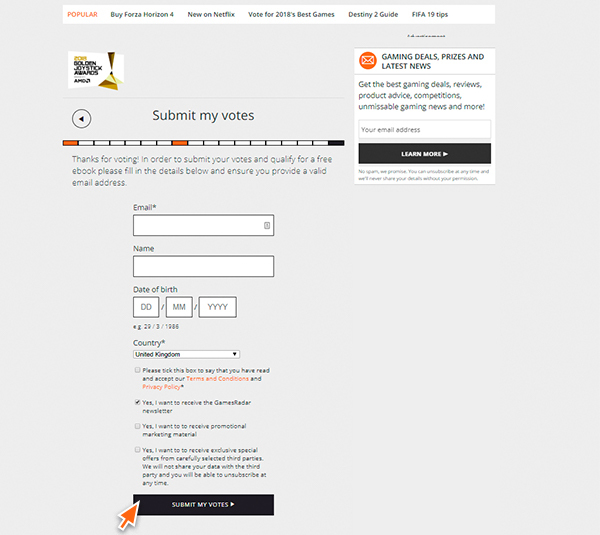 Vote for World of Tanks. Find the last page and register. You need this for your vote to count. Enter your e-mail address, name, date of birth, and country. Skip the other three boxes if you do not wish to receive advertising e-mails. 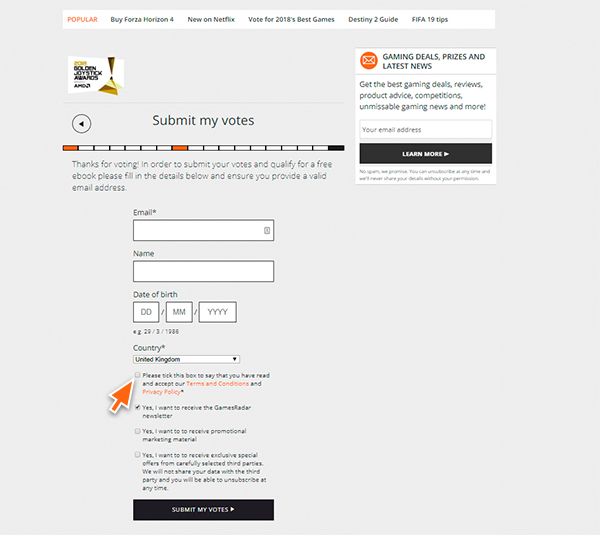 All set – your vote has been accepted. Thank you again for your support and let’s bring the fourth one home!